Our team is the authority on the design process; we will help bring your vision to life. 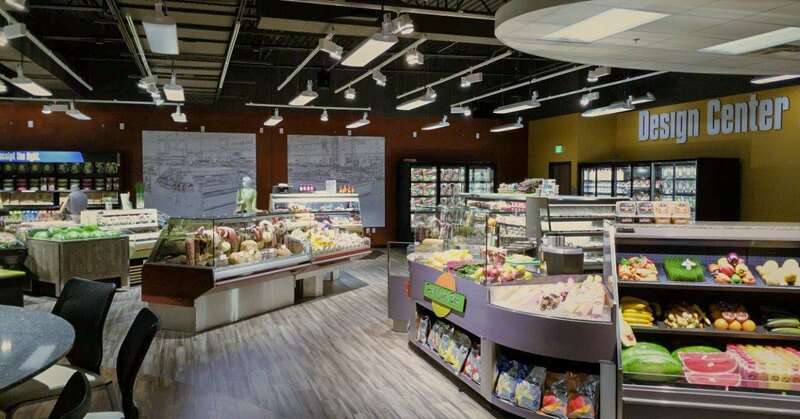 Whether you are building a commercial office building or a corner grocery store, our skilled project managers and engineers work hand in hand with clients through every step of the process. We have multiple engineers licensed in many states that have decades of experience. We work with owners and architects to create the best design that is tailored to your needs. We employ state of the art software programs to ensure the best final product. With every job, no matter how big or small, our experienced project managers, foremen and installation crews work tirelessly until completion. Working with owners, general contractors and other trades, Key strives to keep projects on time and on budget. We have HVAC installation capabilities from small simple projects to large, complex commercial high-rise buildings. Our refrigeration crews install everything from large cold storage warehouses to small convenience stores. Key also has a marine division that installs refrigeration and HVAC on all types of vessels. We pride ourselves on having safe, clean construction sites that are well organized. Attention to detail and proper execution are paramount to our success. Just because your project is finished does not mean the job is complete. Our dependable and knowledgeable service technicians maintain operational performance throughout the life of your equipment. We have service coverage up and down the West Coast with local dispatchers in each branch who are familiar with the areas we service. We offer 24 hour on-call service year-round, rain or shine. Key also offers robust periodic maintenance programs that keep costs low and unexpected repairs to a minimum. Experienced technicians, fast response times and great customer service help keep your product and people at the right temperature year around. As an authorized Hillphoenix dealer, Key can provide a host of different options for your stores. Hillphoenix offers everything from reach-ins, multi-decks, meat and seafood cases, small self-contained cases – you name it. Hillphoenix also offers systems and industrial applications for supermarkets, cold storage warehouses and many other large facilities that require refrigeration. Hillphoenix employs the latest technology and environmentally friendly designs. Hillphoenix C02 systems reduce global warming potential and have a minimal impact on the environment. Key also has access to all Hillphoenix parts and can ship them straight to your store. Energy management is the future of our industry. Building controls and monitoring can help reduce costs by utilizing remote accessibility and managing energy usage. Installing refrigeration leak detection systems help reduce leaks and keep our clients in compliance with state and federal regulators. Our EMS technicians are well-versed with all major EMS manufacturers such as Emerson, Microthermo, and Danfoss. Our EMS teams install and service systems around the county. Key strives to be a good global citizen and aims to reduce our industry’s impact on the environment. Whenever possible, Key promotes the use of alternative refrigerants such as C02, ammonia, glycol, and propane that inflict less harm on the ozone layer compared with traditional refrigerants. We keep current on regulatory changes that affect our clients to make the most suitable recommendations. Our technicians have installed and serviced countless alternative refrigerant systems. It is good to go green!